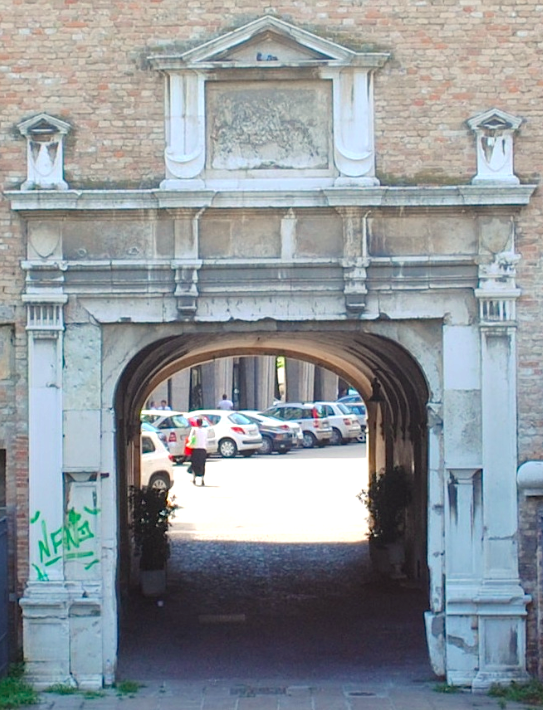 Facing south on the old Terraglio road is Altinia Gate. The gate is named after the nearby city of Altino which was razed to the ground in 452 by Attila the Hun. This gate is the first of three gates which were built into the 14th century city walls and dates to the early 16th century. Constructed from left over resources from the fortifications of B.d’Alvano, the gate features an Istria stone renaissance arch and masonry tower. The gate was closed off in 1851 followed by partial restoration and rebuilding after World War II damage.